Father Michael Joseph Flaherty has a "spare six-foot frame" (he was actually six feet three) and "the ivory pallor of the Spanish traders who had plied more than their wares up and down the western seaboard of Ireland. The jet-black eyebrows and long lashes were Iberian, but the blue eyes and the hint of melancholy were unmistakably Irish It He was the second of three sons, whose mother had died giving birth to their sister. He had left his home on The Island, off the west coast of Ireland, to go to America where he had enlisted as a marine and later transferred to Special Forces where he had been "proficient in demolition, extreme survival, hand-to-hand, various weapons". He had been the only survivor of a special unit in South America, sent there to (quite literally) wipe out drug dealers, after which, suffering from post-traumatic stress, he had been given an honourable discharge and had decided to enter a seminary. He had gone on to become a prison chaplain on a floating prison ship in New York. He is a very tough, resolute and courageous character - if It not exactly a holy one. 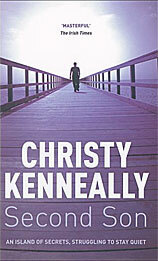 Christy Kenneally (1948 - ) is a well-known Irish TV presenter, scriptwriter and author. He was born in Cork and went on to graduate from the National University of Ireland with Bachelor of Arts and Bachelor of Divinity degrees. 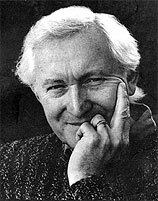 One of the series he wrote and presented for television was Heaven on Earth on the great religions of the world, as revealed in their art and architecture. A former priest, he works as a communications and training consultant in Dublin and runs his own management training company. He the author of over ten books, of which the only novels are the books reviewed below. He is married, with two children, and lives in Wicklow. Second Son describes how, when Gabriel Flaherty plunges to his death from a cliff in suspicious circumstances, it is left to his brother Michael, a priest from New York, to return home to The Island, off the coast from Galway, to discover what has happened. Michael finds that his childhood home is much changed. Since the opening of a new factory, the islanders' way of life is very different from how Michael remembered it. He also has to confront his own past, meeting again his estranged father, his first love and the old priest who changed his life. It is a long book, made to look even longer by a very large font size, and I found it thoroughly confusing with all its unexplained characters, puzzling flashbacks, strange dreams, and sudden cutting from one scene to another. There is, for example, an early reference to The Master but it is not until many pages later that it is explained who he is. It is a very violent story too, and Michael does more fighting than detective work. And the two leading crooks, the Major (whose smile "was a sign of danger, a portent of death and destruction" and who likes telling people, "You have two minutes to consider") and Sergeant Skald ( with his "essential animal nature" who "never smiled" and, like the Major, is quite "devoid of human feeling") do not emerge as real people, terrifying monsters though they are. The old fatally ill island priest, Father Mack, is a more convincing character with a racy turn of speech. When he pours Michael a whiskey, he asks "Water?" "Thank God. Adultery is a serious sin." It is the whisky that keeps him going. There are some amusing touches, as when we're told about the hapless woman who had tried to cope with her wild children by buying a playpen. She had then sat "serenely in the playpen, book in hand safe from the children who rampaged round her kitchen." "Remember, it's only my ring your have to kiss." "Naughty. How you ever going to make Pope with that kind of dirty talk?" But it's all the detailed violence, death and bloodshed, that stay in the mind - with even Michael hitting out at people and becoming "a hunter again". It all leads up to a very bloodthirsty, quite melodramatic, finish. Even so, it stays confusing throughout. But it seems to have been well reviewed in the Irish press where reviewers described it as fast-paced and exciting. Maybe it's just too Irish for export. The Remnant is largely set in Rome in, presumably, 2005. The Pope is dying, and when Father Michael Flaherty is sent to accept a new appointment in the Vatican department run by the Afro-American Cardinal J. Arthur Thomas, he finds there is a plot to murder liberal churchmen so as to ensure that no new Pope will be elected who would share their views. Flaherty's old friend undercover policeman and "minder" Mal, and the Italian detective Fermi, join him in pursuit of a murderous priest working for The Remnant, as the dissident group call themselves. "The Remnant are dedicated to a church that claims primacy over all others. The foundation of the church by Christ fulfils the promise of the Old Testament and renders the Jewish faith obsolete. Islam, Hinduism, Buddhism and all the other so-called religions bud from the political or cultural humus of their civilisations. They will find their way to Christ and to his church in time. In the meantime, the Remnant must ready the church for their arrival, by removing those liberal offshoots that sap its strength and stunt its growth. We will do this with the steel of the Crusaders and the fire of the Inquisition, until the church is purified." It is a violent and involved story that makes the most of its Roman setting, with strange meetings in the catacombs, Michael chasing his way through the Papal apartments, complete with gun, then bursting his way into a cardinal's private chambers, and a villainous cardinal being unmasked as he is actually lining up to enter the Sistine Chapel to elect a new pope! The old pope, who is himself the subject of a murder attempt, is actually identified as Karol Wojtyla (Pope John Paul II). It seems more than a little presumptuous to have mixed him up with all this murder and melodrama. Or does the author know more than we do? The Jewish Dr Eli Weissman, who looks after the dying Pope, is an interesting character but he, presumably, is entirely fictitious. The Pope had asked him, "Am I dying?" "Yes. The condition you have is irreversible. When we take into account other factors, such as your age and the injury you suffered, we're talking sooner rather than later. But you are alive today, Pope." "Thank you for treating me as a human being, Doctor. I would like you to be my physician, if you are willing?" This mixture of fact and fiction seems rather odd. It is, incidentally, by mutual arrangement that the doctor, as a Jew, just calls him Pope! The plot is much more coherent than that of the first book, although it might have been helpful to have had a cast list included as it is not always easy to remember who is who. Michael himself turns out to be more of a tough guy than a detective (it is Mal and Fermi who do the real detective work). When Michael did not like the way that a monsignor spoke to him, he locked hands with him. " 'Monsignor,' he said softly, 'you have choices.' Slowly he squeezed, bending the trapped fingers backward. 'You can continue in this vein, in which case, I will snap your fingers.' He bent the hand another degree to illustrate the point, and the colour drained from their Monsignor's face. 'You may, however, choose to smile and apologise, and this matter will be ended.' "
And he can easily knock out three burly attackers, putting his Special Forces training to good use, as when "With all his strength, he jerked the folded book up under the man's jaw. He heard the click as the teeth smashed together. Involuntarily, his opponent loosened his grip as his mouth filled with blood. As Michael's feet touched the cobbles, he kicked sideways and heard a satisfying snap." A man of action, indeed. The author has a nice turn of phrase, as when Sebastiano, one of the conspirators who has talked too much, comments that "The American Catholic church, like the country itself, was populated with ignorant peasants who didn't know their apse from their elbow; but they were rich, and as one famous archbishop had put it so pithily, 'The church is not run on Hail Marys'." There are as many as nine violent death before Sebastiano is punished for talking too much by being shot to death by arrows, like the original St Sebastian, and in the Colosseum itself. "He craned his head forward and saw an inch of feathered bolt protruding from his thigh. He stared at it for a moment in disbelief, then the pain surged up and exploded in his brain. In agony, he smashed his head against the beam, craving unconsciousness; but he was lucid, all too lucid, when the second bolt sang its brief song through the air and split his right knee like a dry stick. The third bowled past cleanly through the muscle of his right arm ...." The author seems to be enjoying it all a bit too much. Although the setting, complete with villainous clergy, is certainly intriguing, the unlikely but complicated plot is not always easy to follow, and tough guy Michael does not really make a very convincing priest. But it's a real improvement on the first book. Tears of God starts with Michael Flaherty returning to his Irish island home to hide from the world, knowing that those he loves are in danger simply because he is alive. An assassin's dying message makes him realise that he must face his enemy from the previous book, Cardinal Thomas, one final time to rid himself of the evil that threatens everything and everyone he holds dear. He eventually sets off for Jerusalem where the malevolent director of the CIA has a scheme to outwit the new American woman president, and, by blowing up the Dome, to play Christians, Jews and Muslims off against one another so as to lead them to the brink of war - and all this because he's in the armaments business! Unfortunately the story is told in an episodic way that is often confusing. The author cuts rapidly from one set of characters to another and from one place to the next with a minimum of explanation. 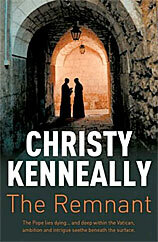 The result is that the complex story that jumps from the President's office to Israel to Ireland to Rome and back again, becomes very difficult to follow, and it is not easy even to remember who all the characters are. This is particularly true of the long and rather tedious sections of the book in which Michael Flaherty himself is not present. In one typically unlikely (and not very relevant) episode, a troublesome Irish Jesuit priest "touted as the champion of green theology worldwide", lectures the Pope: "According to Genesis, God creates the world in six days. On the sixth and final day he creates humans - us. That doesn't mean we are tops, just last. Evolution tells us everything was alive and kicking and evolving for millions of years after the Big Bang. Everything except us. We sneaked in at the 11th hour. Back to Genesis! According to Genesis, we sixth-day Johnny-come-latelies inherit the whole kit and caboodle. We get to be lords and masters and have dominion over everything, all Creation." But "We are not the lords of Creation. We're not even the stewards of Creation." "We're kin to all Creation, Holy Father, nothing more, nothing else." Then, after a few more pages of instruction, the Pope says, "I'm afraid I must say goodbye. Thank you for our discussion." "I mean ... I thought you ..."
"Oh, you thought I might order you to stop writing and lecturing." "Well, yes, but maybe with some mild torture and temporary excommunication thrown in." "It's Tuesday," the Pope said. "We don't do torture on Tuesdays." If only there was more of this sense of fun throughout. There are parts, however, that are quite exciting, as when Michael, with explosives tied around him, is taken to the Dome in Jerusalem so that he and it can be blown up together, thus inciting Arab retaliation. But, like so much of the violent action, it is not exactly a convincing situation. The inter-fighting between the Israeli police and Mossad may, or may not, be equally unlikely, but it is at least made to sound more plausible. Michael himself has given up any priestly duties. Few of the characters are truly sympathetic, and the emphasis on vicious behaviour and self-interest in high places does not make a very engaging story. Admittedly Franciscan Tim Conway, Father Guardian of the Church of the Holy Sepulchre in Jerusalem, is remarkably effective in bringing together not only the leaders of the various warring Christian nominations, but also the Muslims and Jews - but it all sounds too good to be true. And characters like veteran CIA agent Mary Brown who has a multitude of disguises including that of "a certified disease-free prostitute in good standing with the local militia", don't seem at all real. It is an over-long book that ends with the ever confident Michael stepping into the Oval Office. "He seemed less than awed by his surroundings and she (the President) was impressed by that. ... There was a stillness about him she found attractive. He seemed to have that quality people often referred to as presence, the ability to be fully present without being distracted by where he was and who was there. It 'didn't hurt', as her mother would have said coyly, that he was broad in all the right places or that the pallor shading his high cheekbones contrasted strikingly with blue-black hair. Michael Flaherty had lines at the corners of his mouth and radiating from his eyes. She didn't doubt he could be light-hearted but the darkness in his eyes suggested something of what he'd endured. Those eyes regarded her with some amusement ..." After all, what did all those killings matter? There is not much information about the author on the web. The cover of the second book well suggests ecclesistical skulduggery in high places.It is much more readable than the first book.